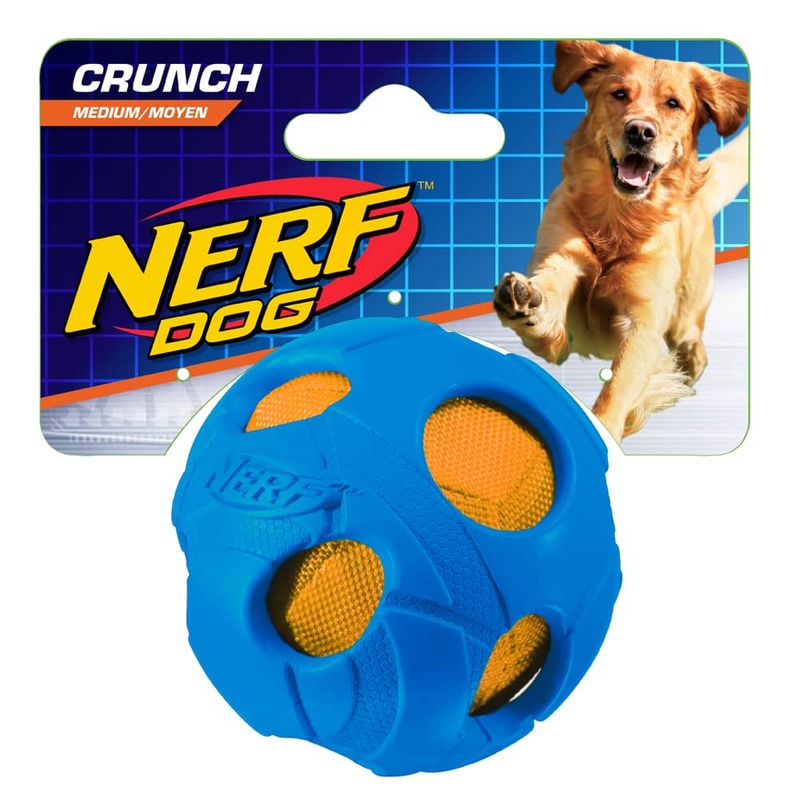 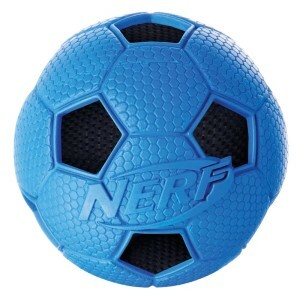 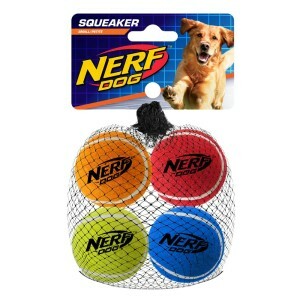 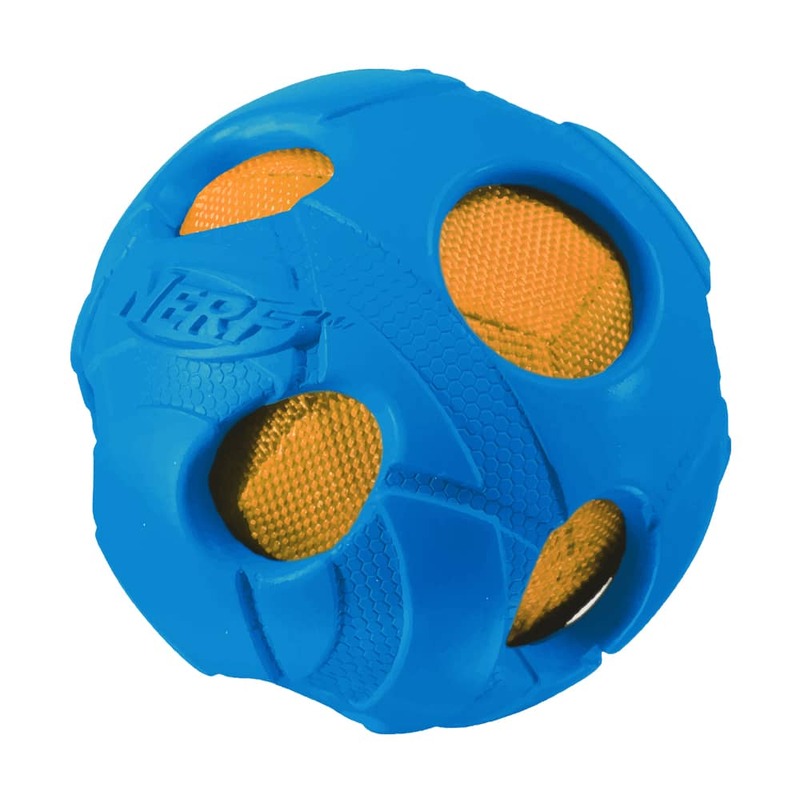 The Nerf Dog medium Crunchable Bash Ball will entertain your dog for hours on end! 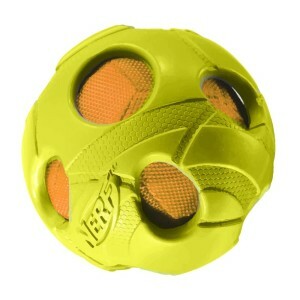 The durable body stands up to extended chewing, and makes squeaking and crunching sounds that dogs love. 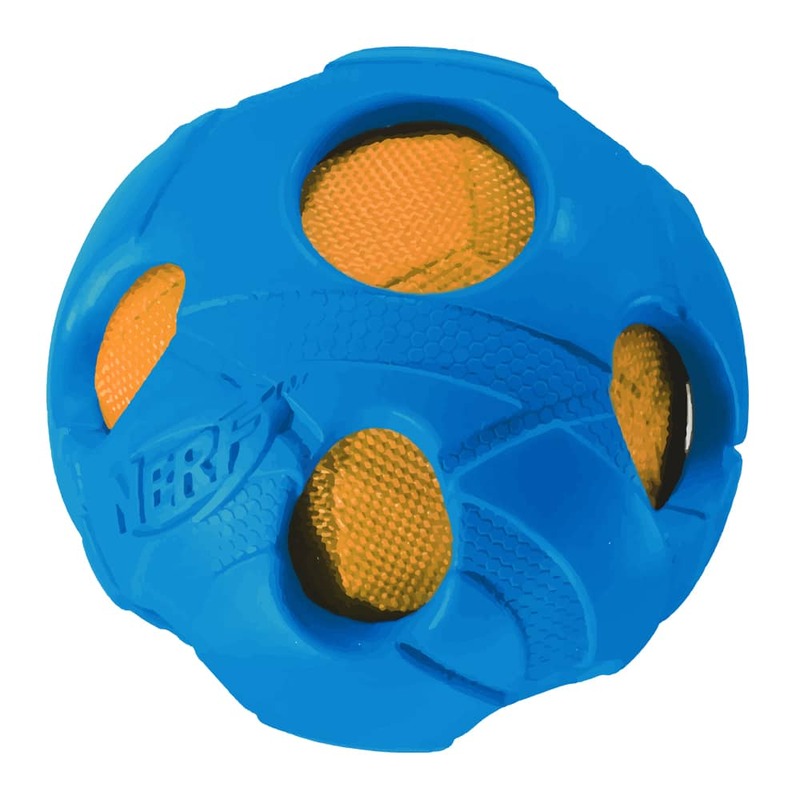 Plus, it has rasied grooves that makes it easier to grip for both of you! 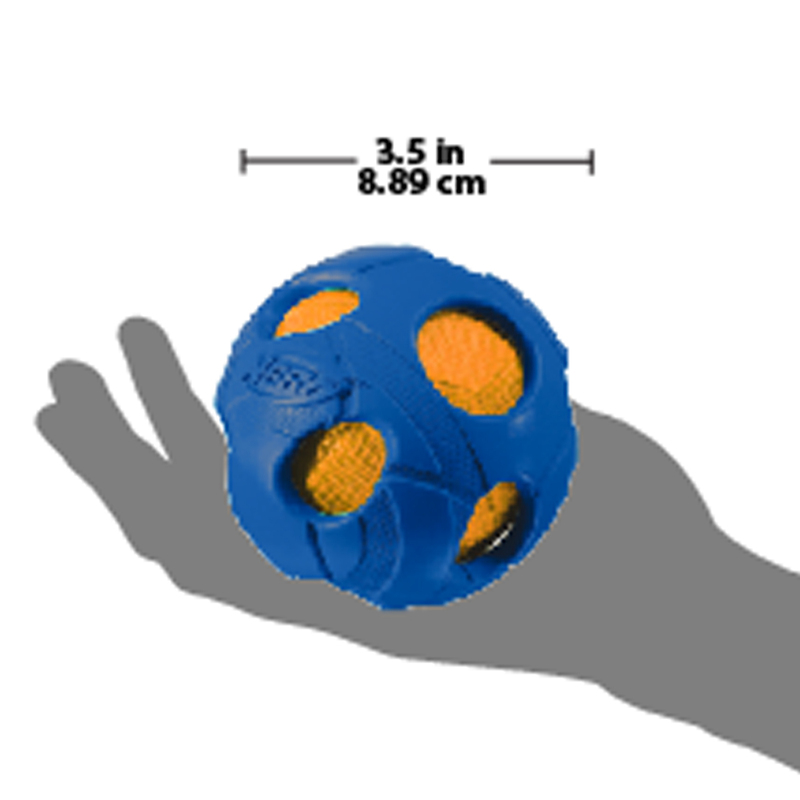 Great for toss and fetch, or solo play sessions. Sturdy rubber and nylon.